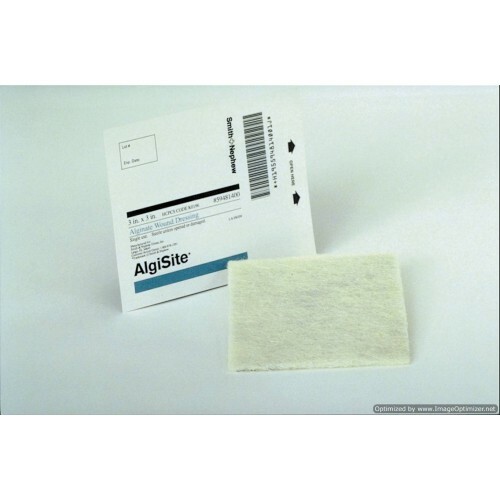 Algisite M Calcium Alginate Dressing, by Smith & Nephew, is a calcium-alginate-based wound dressing which heals by forming a soft gel that absorbs upon coming into contact with wound exudate. The softness and comfortability of the Algisite M allows it to be molded, folded or cut to meet most wound shapes and sizes. Once applied to any moderate- to highly-exuding wound, the dressing forms a soft, non-adhering gel which is gentle on the healing tissues in the wound bed, making it easy to remove. The dressing can be easily removed from the wound in one piece, or washed out with saline. Algisite M Calcium Alginate Dressing's unique gel-production design via the action of exudate on the alginate fibers creates a moist wound environment on the wound surface, thereby helping to prevent eschar formation and in turn promoting a optimal moist wound-healing environment. 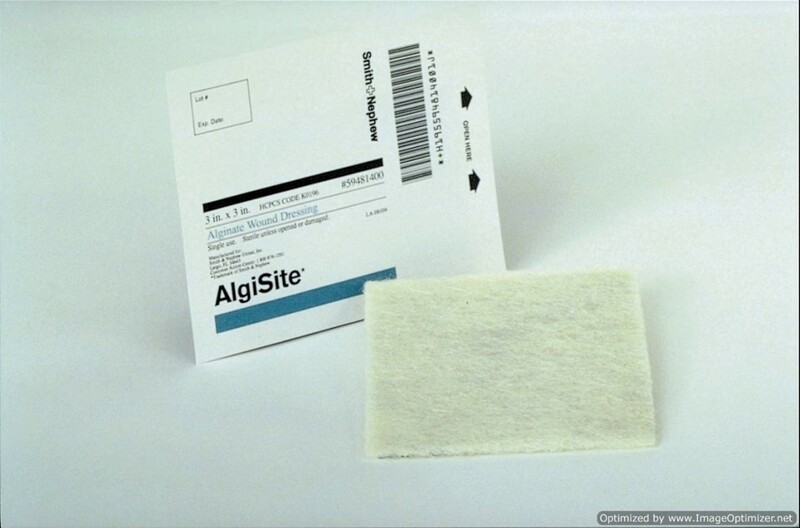 Due to its advanced bonding technique, the Algisite M releases much fewer fibers than the average fiber-based alginate, making this the preferred dressing among medical technicians everywhere. Vitality Medical also carries other wound care products, such as Remove Adhesive Wipe by Smith & Nephew and Betadine Povidone Iodine Solutions. Fast-Gelling, High Mannuronic Acid Fibers. I used this alginate, under doctor's supervision, to help heal my two diabetic ulcers on my lower leg. Cut patches of alginate to size. Placed on wound. Placed abdominal gauze patch over alginate patch. Then compression thigh length hose. Changed twice a day initially, then down to every few days as healing progressed.